Tip! Register your UCL password at: https://myaccount.ucl.ac.uk/uas-register/. If you forget the password, you can re-set it yourself. 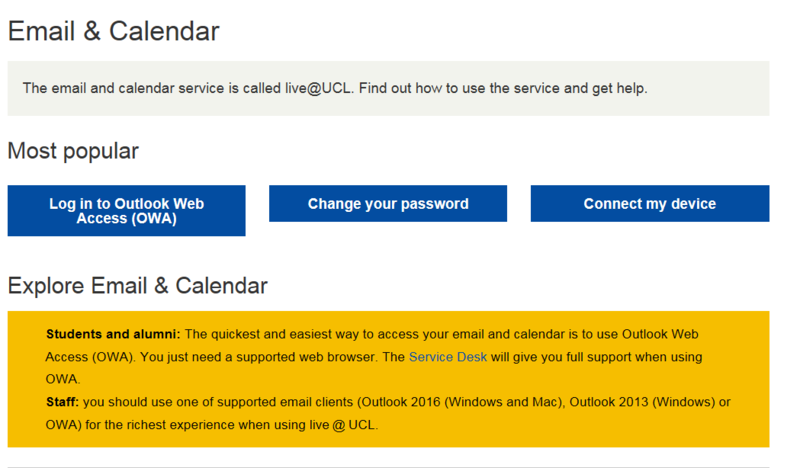 On the move, synchronise your mobile device with your email and calendar at: http://www.ucl.ac.uk/isd/services/email-calendar. Media Services is based on Level 3 , Wing 3 of the IOE. This service provides a range of audio-visual equipment on short term loan as well as advice about media for students. Depending on the item, loans are available from one day to a maximum of a two-week period and are issued to your library account. 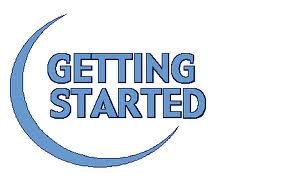 Items available for loan are: digital cameras, digital voice recorders, tripods, headphones, microphones, etc. Laptops are available for loan at the IOE Library. During term time, laptops borrowed at 12 noon will be due for return by 10:00 the following day (Mon-Fri), with loans on a Friday, Saturday or Sunday running until the Monday. A fixed rate of £5 per overdue laptop will be charged. Whilst it is unlikely that laptop batteries would last for 24 hours, these loan periods are designed to enable maximum flexibility of borrowing within the constraints of systems and services. If the battery runs down, students can return the laptop and borrow another available device. You will need your barcode (on the back of your UCL card) and PIN to borrow laptops. This service extension addresses feedback received from students since the launch of the service, and is a collaboration between representatives from library sites, the ISD service team, and Digital Libraries. Tip! Laptops are set to reset themselves when the lid is closed or when they are shut down. The user is responsible for saving and backing up all work to the N Drive or other external storage. Once the laptop has been turned off, unfortunately it is not possible to retrieve anything from the previous session. For more information about laptop loans in UCL libraries, click here. To access Moodle, students will use their UCL username and password at: https://moodle.ucl.ac.uk. On level 3, there are 112 pcs. PC lab 4 is just outside the library on level 4 and open from 8 am to 8 pm during term time. 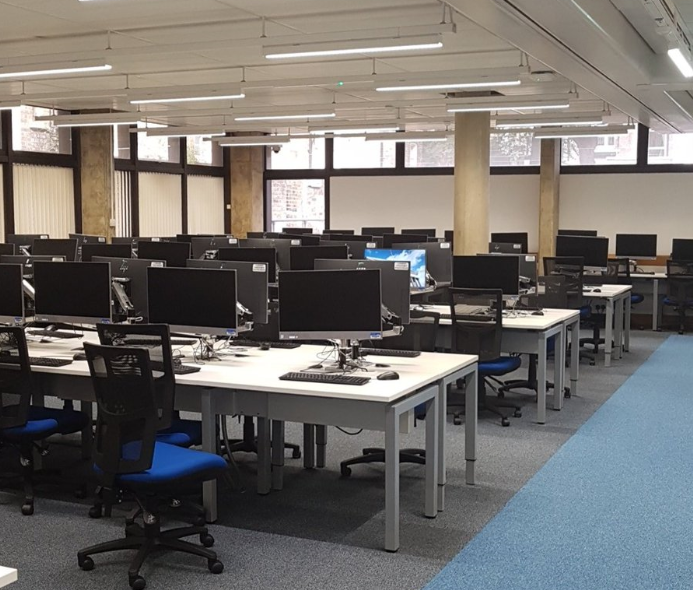 The PC Cluster on level 3 is accessible via the 4th Floor near the IOE reception area, and is equipped with 35 desktops. Print @UCL multi-functional devices (MFDs) have been installed in the UCL IOE Library. 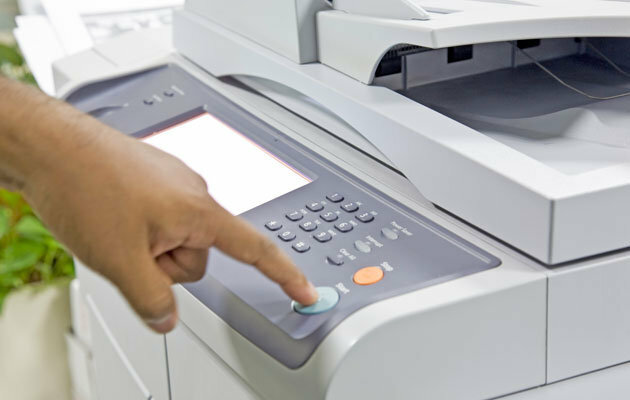 These MFDs require a UCL card in order to use and are enabled for photocopying, printing, scanning and emailing results. UCL students will have £12 print / copy credit each year on their UCL cards and will be able to use this credit on the photocopiers. A cash loader is available next to the photocopiers for students to top up their UCL card. Students can also top up online at https://printaccount.ucl.ac.uk/safecom. Please note that the £12 free credit is reset at the beginning of each academic year. Any unused credit that has been added by the user will carry over to the next academic year. However, any free credit added to your account by UCL will NOT be carried over. 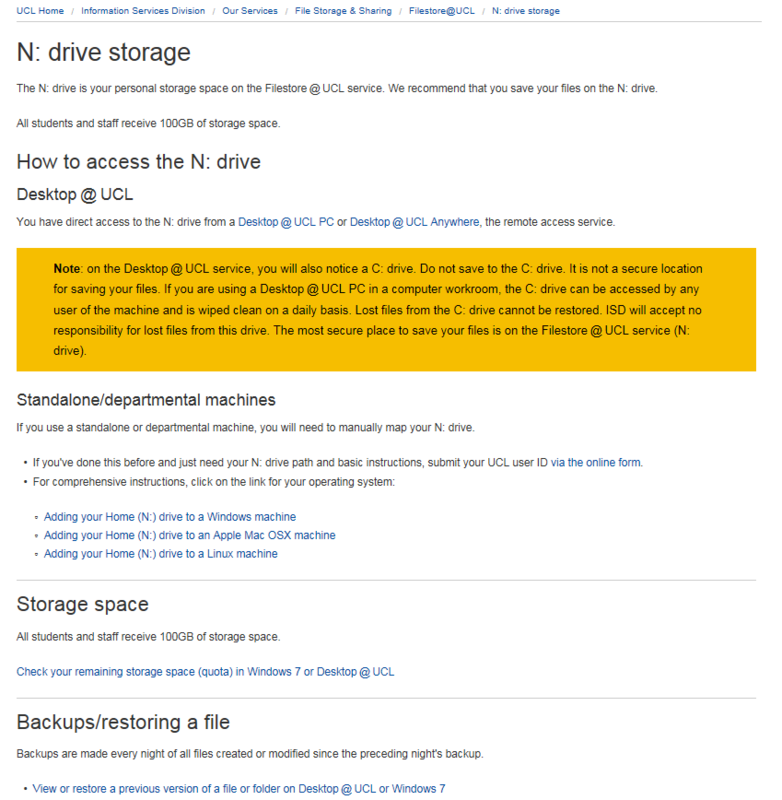 See http://www.ucl.ac.uk/isd/services/print-copy-scan for more detailed guidance. You can download free anti-virus software plus any site-licensed software to which you are entitled to from the software database at: http://swdb.ucl.ac.uk/. 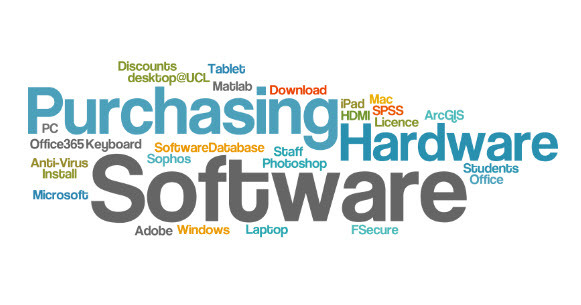 More information can be found at: http://www.ucl.ac.uk/isd/services/software-hardware. The UCL is part of Eduroam which allows you to connect to wireless hotspots at the IOE, UCL and other Eduroam wireless networks around the world. 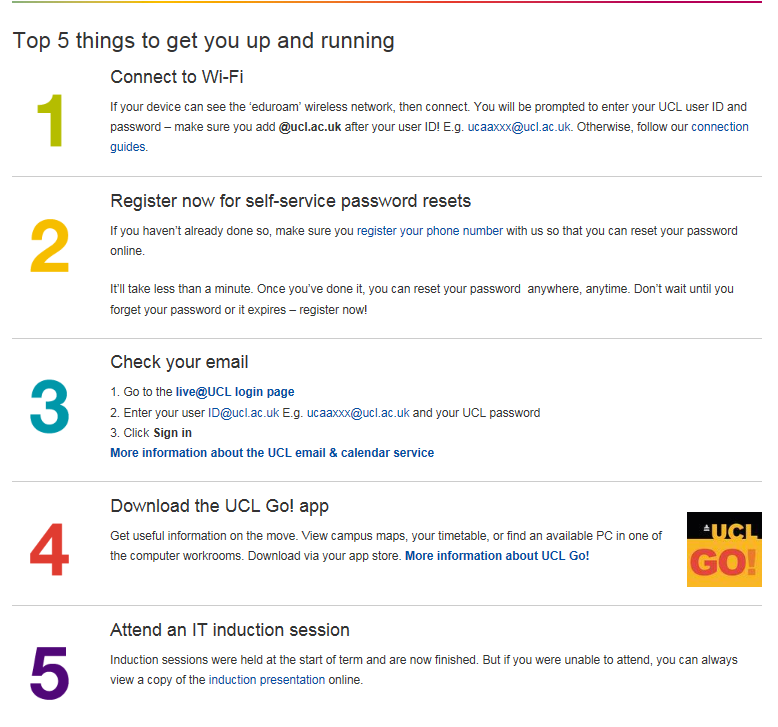 To connect to Eduroam, you will need your UCL user ID and password; your UCL user ID must be appended with @ucl.ac.uk e.g. ucluserid@ucl.ac.uk. 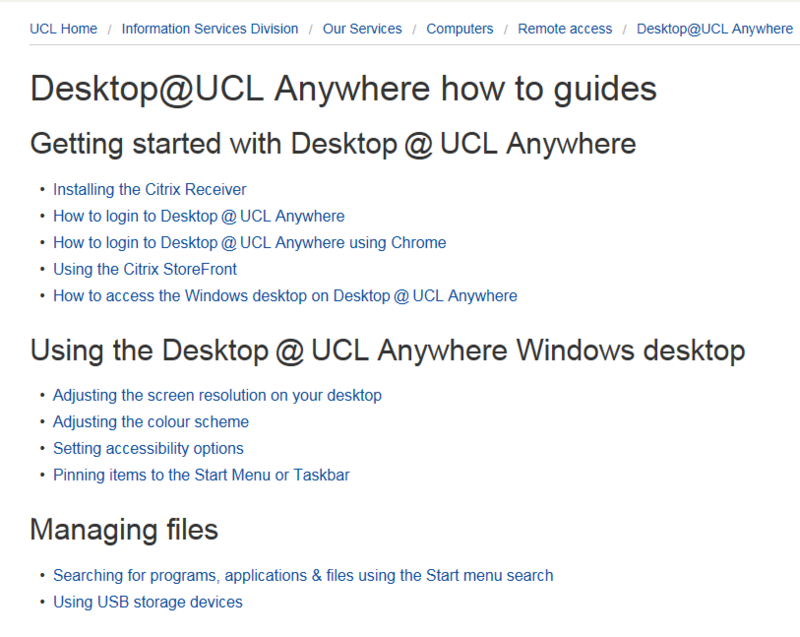 How to guides including wi-fi can be found at: https://www.ucl.ac.uk/isd/how-to-guides?collection=drupal-isd-howto&query=eduroam.